We had everything we needed paid a long time in advance. Thank goodness for that. Thank you. I want to say, we were very pleased with your help throughout this ordeal. I can't thank you enough. Very helpful in dealing with the State of PA where my mother's arrangements were made. Very caring, compassionate staff! Thank you! 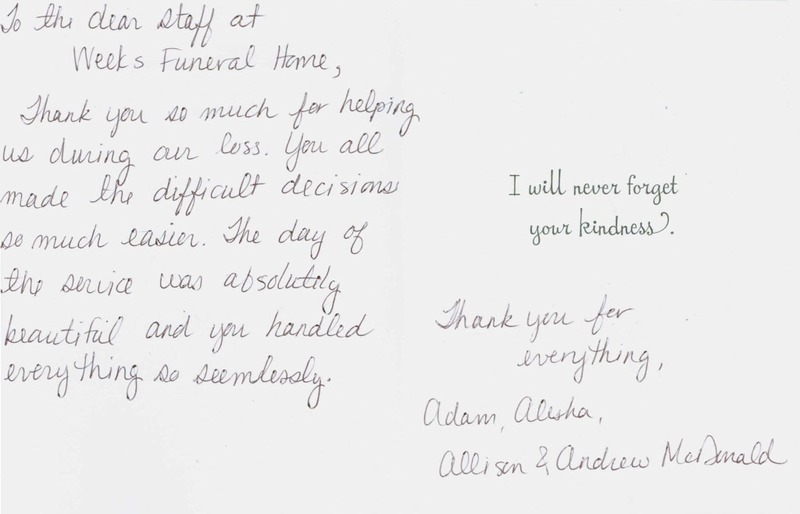 My personal experience with Weeks' Funeral Home, and all of it's staff was wonderful. I would like everyone to know it was, while being extremely sad, made easier with all of their contributions to the program. Your staff is Awesome! My grandmother had purchased pre-arrangements through a local ,to her, funeral home in Louisiana. 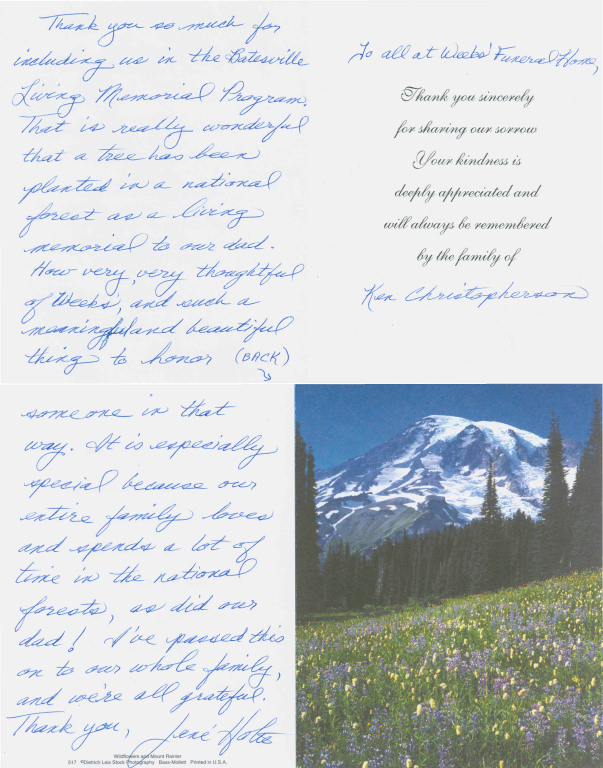 When my grandfather passed away & my grandmother moved here, Karen helped us transfer benefits/services. Almost 4 years after that move, my grandmother passed. Knowing that during our time of grief, things were pre-handled, made things easier. In addition, my grandmother will be joining my grandfather at the National Cemetery in Arlington. Again, Karen & Katey took care of all arrangements. Miles and Fred were also wonderful - explained things clearly, and were respectful & very kind hearted when they came for my grandmother. 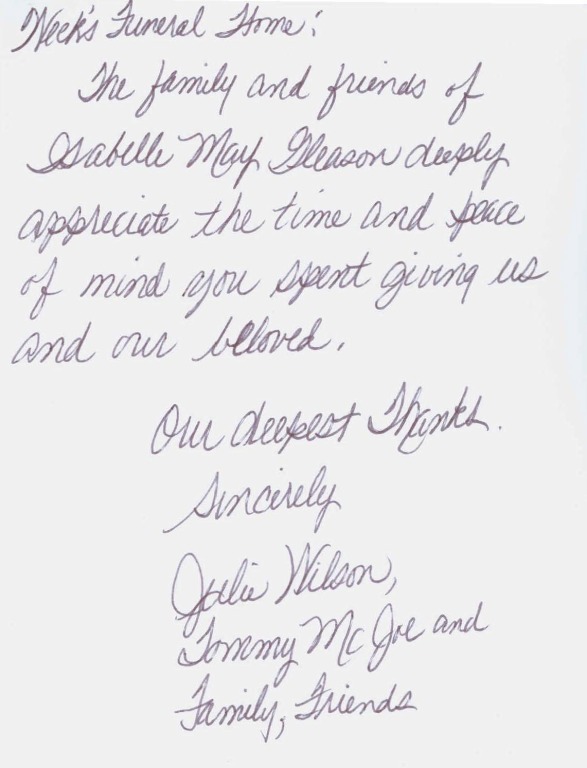 I know that we are not the only family who has lost a loved one, but Karen & all of your staff we were in contact with (Fred, Miles & Katey) made us feel as if we were their only concern. I can not say enough about how blessed we feel that my grandmother's wishes are being carried out & the ease of this process. Thank you! 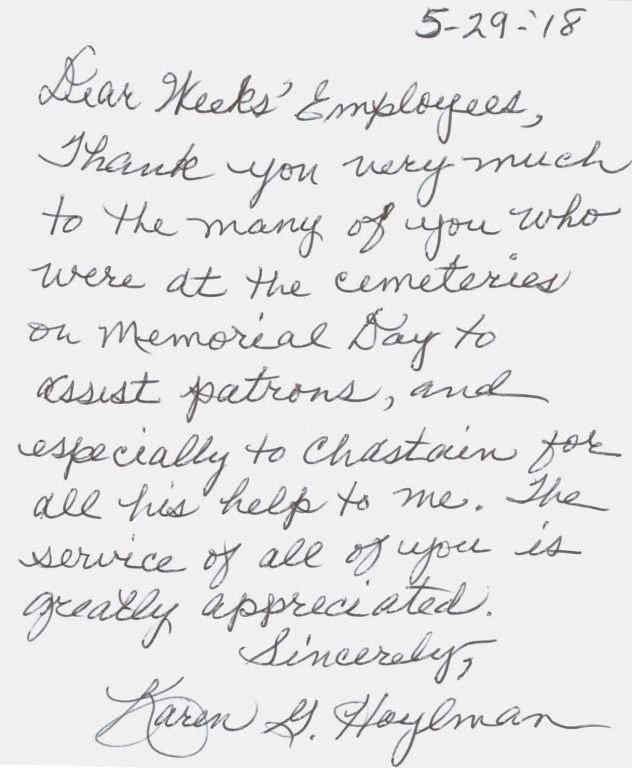 Every staff member was gracious, helpful, and respectful about everything that was done. The jewelry was beautiful... Thank you for your service. 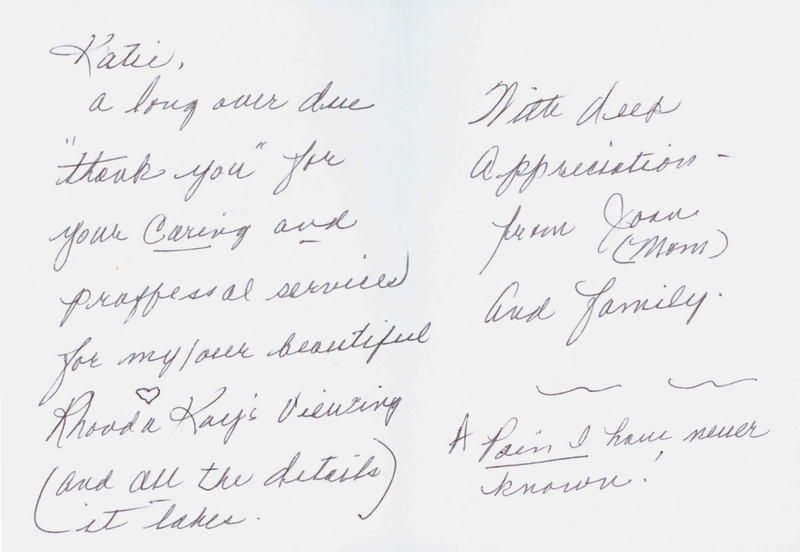 The staff was very helpful & caring of our feelings. Thank you very much for the help & thoughtful of our family even now. Thank you. Exceptional service. Everyone showed so much concern for our family. The made a hard time bearable. Thank you to the whole staff. I want Weeks' to know how much our family appreciated all the help, kindness and respect for us as we went through this very trying and unknown territory of death. As the widow I am very grateful for the beautiful service my husband received. Thank you! Your staff was respectful to our needs. 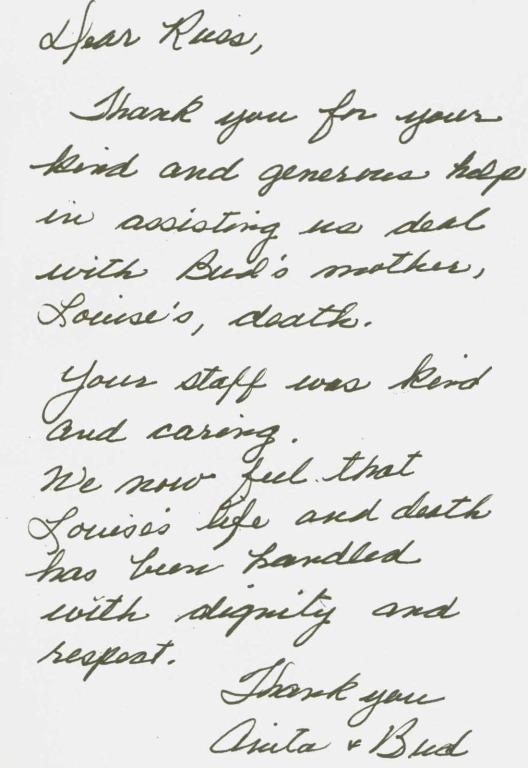 They treated my mother with dignity and respect. Karen was a gem to me at a most painful time. She was always available, patient, considerate, a good listener, empathetic and professional. Thank you for all you did to help me through this time of my loss. We utilized Weeks' Enumclaw for both of my parents. The entire experience was a painless as possible. 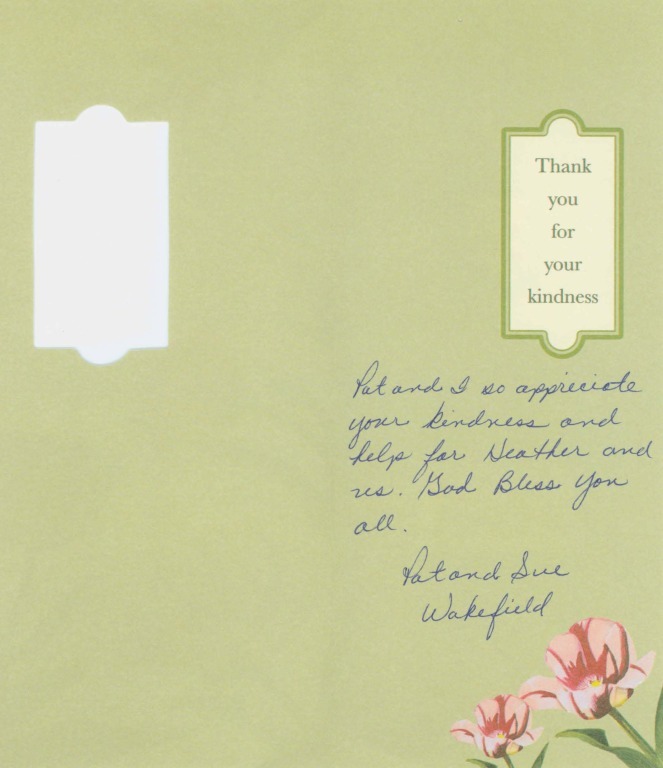 The Staff was very responsive and easy to communicate with over email. Mom's service was more traditional and Dad's was not. Weeks' was top notch for both. Thank you for your kindness and compassion. Donna was absolutely amazing! I am very grateful to her on behalf of our entire family for last minute assistance with several details. She is exceptionally caring and patient.